Today marks the launch of a new section of the site, ‘Culture’. Yeah, yeah I know what you’re thinking, everything’s cultural and everything’s political lalala. Well, being the geniuses we are over here at HHLAT, we know that hip-hop isn’t simply about making music. It’s a culture (see the link?? Eh, eh), genre, lifestyle and political movement, and many of the people involved within it are also involved in organisations and groups. This is why we’ve decided to include a sub-section to the site header, so that when we come across stories or events that loosely or definitely fit into this section, you’ll be able to know what to expect. Well somewhat anyway. Basically, we already publish articles that highlight the politics of certain events, people or situations, this just means it’s easier for you to find it. This first article was sent to us by UK rapper, Yoshi Riot (you can read his interview here) who is a member of the movement the ‘Liberation Squad’ which was created to help empower and support those who may not be full aware of their rights, or those forgotten by mainstream society. They work with homelessness charities, schools and other organisations in order to make their part of the world a little bit better. One of their members, Black Snow was recently detained unlawfully by the Birmingham Police, strip searched, beaten and kept in a cell for well over 8 hours. Nothing new here you might say? Well it is a little bit different, as Black Snow has recently become a Sovereign Being, which in very basic terms means he is no longer connected to the State. There are advantages and disadvantages to this. Some advantages are that you are not bound by the State’s law, unless there are Common Laws, but you may or may not be able to obtain say for example Job Seeker’s Allowance if you were to lose your job (although in Black Snow’s case he is still eligible for it). Whether you agree or disagree with Black Snow and becoming a Sovereign Being, this is still an extremely interesting article about how the Police generally have no idea what they’re doing, when it comes to individual rights. 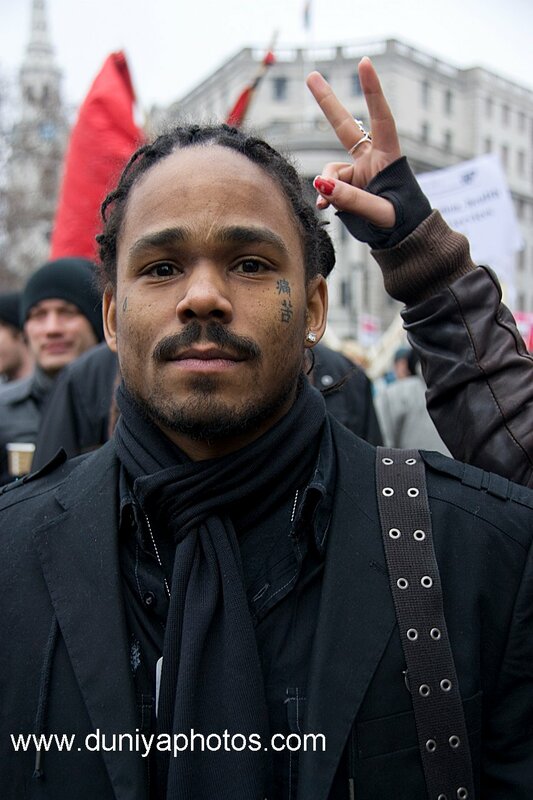 Black Snow himself works with the Liberation Squad, and a group called No Guns Without Bullets, that organises school workshops aimed at tackling guns, drugs and homelessness. He’s had his fair share of run-ins with the law in the past, but instead of staying on that path he’s opted to use his experiences and knowledge for the greater good. Again, we’re not saying becoming a Sovereign Being is a good or bad thing; and we’re bot advocating either we’re simply putting light on people’s need to be aware of their own personal rights, and sharing an interesting story with you. Enjoy! It was time to get ready and go to court to support someone else who was due to be in court that morning. Getting ready included me dressing smart; also because of my Sovereign status in society, I decided to carry my handcuffs too, as there isn’t a law or policy that doesn’t allow me not too. Time got closer and the court doors opened, as I got there early I decided to smoke a cigarette outside. There was a few officers staring at my handcuffs hanging down from my pocket, but no one came up and said anything to me regarding the cuffs. As I entered into the court doors, we had to go through the search process, in which I happily placed my handcuffs on the tray with all other metal objects. As the G4s staff started to pat me down, she saw the handcuffs and began to get frustrated, and act somewhat panicky. She told me I could not enter with my handcuffs, in which I asked for a reason to why? I also asked what the law or policy was that doesn’t allow me to walk into court with my handcuffs. She couldn’t answer me, so with that I carried on walking into the courts, putting my handcuffs in my bag. She must have called police in the meantime. PC Allen 0752 was the officer on duty, who was undercover. Instead of calmly approaching me, PC Allen flashed card at me, which I couldn’t see properly. He asked if I had handcuffs, I replied with the affirmative, and suggested we talk about this, away from the crowded area. As I turned around PC Allen grabbed my arm, and pulled me towards him. If I were to do the same, it would be classed as assault, so whilst he was trying to use force, I used the same force back to stop him from unlawfully assaulting me, or touching me without my consent. By law, and stated in the Magna Carta, a Sovereign being cannot be arrested unless it’s for a Common Law crime, which is harm, injury or loss. On top of that the Sovereign being has the right to question the police, and also has the right to use reasonable force to defend themselves. Whilst I began trying to stop PC Allen from violating my rights any further, I was also carrying my folder. This folder contained documents that had been sent to David Cameron, who had accepted by acquiescence my Sovereign status in society. As a Sovereign private being, nothing but Common Law applies to me. Company policies acts and statutes do not apply to Sovereigns; they require our consent in order for their acts to be enforced. I continued trying to tell him who I was, but he refused to listen, and continued to become aggressive, which led to him using force to arrest me. I asked what it was he was arresting me for. There was no reply for 2 minutes, so I repeated myself until he answered. He finally replied, and said that I was being arrested for ‘going equip’. ‘Equip’ for what? I challenged his false claims and reminded him that he is talking to a private human being, not the Legal Fiction that he thinks or wold like me to be. Note: Legal Fiction is the term used to describe someone who is using their birth certificate name in society, because the birth certificate is a Legal Fiction created by the government, they therefore control the Legal Fiction. What has happened with me is that I have cleared the presumptions and have made clear that I am a private human being, a Sovereign, and no longer Legal Fiction. I took control of the Legal Fiction that was created, so that I am now the grantor (the owner of my own property, myself being this property) not to mention the beneficiary of the Legal Fiction. This means I now have full control over this fiction, not the government. I have taken it from their grips and into my own. We can all do this. Back to the story, PC Allen started to stutter, and couldn’t give me a valid reason as to why I was being arrested. It seemed he hadn’t come across anyone who walks around with own handcuffs before, that wasn’t a part of the police force. I wait to be taken away, I am currently standing under duress now, so I claim my rights and make it known who I am. I was a Sovereign being, not Legal Fiction. I was than transported to Stelhouse Lane police station. As soon as I entered, I was asked my name and details, to which I replied that this was irrelevant as there was no cause for the arrest. What they wanted to do was get my information, so they can put it in the system; once they have my name and address they can then put a charge upon me because of my consenting to their jurisdiction. Without my details they cannot charge me, I know this and they knew I knew this, so instead they began to change tactics. Intimidation was their tactic. They threw me into a cell, still not telling me what it is I have been arrested for, and so I reminded them that that going equip was not a valid charge to the circumstances. I also reminded them they had arrested the private Sovereign, which meant that by law I shouldn’t have been in there, after which they searched me in the cell. It was around 10am now. Soon after, the officer on duty came into my cell and asked for my information once again, and yet again I refused and asked her why I was there? She mentioned that I had assaulted a police officer. I then reminded her that I was well within my rights to use force to defend myself from unlawful activities coming from police officers, and that I was within my rights as it sates within the Constitution. She didn’t like what I said, I could tell, so she slammed the pad door. After a while she sent to me the nurse, I said I wasn’t in need of a nurse, and that I wanted their Sergeant to contact Bob Jones, who is the Police Commissioner in Birmingham. He knows of my status, and I have met with him personally, and have signed my papers in front if him. If he was aware of my arrest, he would have to come down and assess the situation, but there was no sign of Bob Jones. After the nurse left, other officers then came into the cell claiming that the nurse had smelt Cannabis, so I would need to be stripped searched. Straight away I knew it was a stich up, so I refused to give them the consent to strip search me, which only made things worst. After trying to refuse they continued to surround my cell with more officers. I again warned them if anyone was to abuse me here now that I would use force to try and stop it. Upon saying this, and my earlier actions, I guess they knew I wasn’t playing, so they gave me the choice to take off my clothes. “We can do it respectively, or the hard way” (sounds like a film doesn’t it?). Seeing the amount of officers now in my cell I decided to comply. I began to take off my clothes one by one; but when it got to taking off my trousers, and removing my boxers, they asked my to bend and squat, and also lift my genital’, and shake them around. When I was asked this, something told me that this wasn’t right, so I decided not too, and started to put back my clothes. As I was putting on my clothes, the sergeant lifted my top up whilst I still had no boxers on, so I instinctively slapped his hand away, and asked him what did he think was his doing? After that his officers came in and jumped on me, pinning me up against the wall, all whilst I was still naked. He told me to knee on the floor (still naked). I refused to do so, and was forcefully pulled to the floor. I felt the weight of many officers on me; my legs were opened and my arms stretched back. I started to loose my breath, and I remembered that this is how many people die in custody, because they panic in this situation. I purposely held my breath and tried to calm my body down. During this time I was thrown around the cell, and then in front of the camera they held me down on my stomach, and lifted both my legs backwards so that my feet were touching my hair (Remember, I’m still naked). They then ran out and shut the pad door. After that incident I was determined to hold on to what dignity I had left, I knew these were tactics used de-moralise me into giving my information, but it didn’t work, it had the opposite effect. Remember however that I am now a private Sovereign, so I am no longer on their system; I was determined not to give my personal information, be it DNA, fingerprints or my name. In the end they sent in an officer who said to me bluntly “Listen, if you don’t give us your details we are going to get it from you by force, and will drag you into the photo booth and hold you in there”. I replied calmly, “That’s no problem, if you do that I will use force once again to defend myself”. He then said, “Well if that’s the case, if you hurt one of our officers we will remand you, and you won’t come out until you go to court”. When I heard this, I started to think about the time I had already spent there. It was night-time now, I hadn’t eaten, I’d been beaten, and my patience was wearing thin. I calmly responded to this, that if that was the case, then would do this under duress. An hour later he came back with more officers, and walked me to get my fingerprints done. I started to look around, and heard them say that they needed my information because they didn’t know who I was, or what to charge me with. By this time I had finished giving them my fingerprints, but when it came to giving my DNA, I refused and said they’d gotten enough from me (funnily enough they allowed me to dismiss this). Soon after I went back to the pad, an officer came in and said I was free to go, but not without charging me for obstructing the police and resisting arrest. I refused to acknowledge this and told them I wouldn’t the charge sheet. I now have to appear in court on the 17th of January, but I will dismiss the case myself as I have the right to do so, and then further action will be brought forward. I asked what happened to the assault charge and the going equip charge? They didn’t answer me, but from what I gathered was that they knew I was well within my right to defend myself and if it went court, I would win the case because I am a Sovereign being. One thing I’ve learnt from this is that we have to believe in what it we do, whatever it is we do, if I didn’t believe in my being the Sovereign being, I wouldn’t have acted in this way. I would have given up, and let the police violate me. It’s because I believe who I am, and it’s because of this why I didn’t get the assault charge, that someone else would have surely gotten. There is no law that says we can’t carry handcuffs, but you may ask why would one walk around with handcuffs? It’s because we live in world where pain and hatred is vast, a place where our communities are plagued with unlawful police activities, and the threat if death from our own people. In my opinion, it is safer to walk around with handcuffs, to use them to protect yourself from harm, than it is to walk around with a gun, or knife trying to protect yourself in that manner, to protect others! Tomorrow I will buy myself a new pair of handcuffs, this doesn’t change anything.